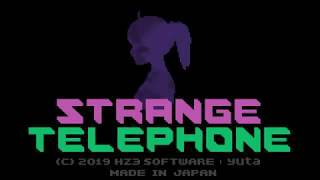 Strange Telephone on the Playism Store | Bringing a different breed of indie game to the world. Strange Telephone is a 2D adventure game in which the player explores strange worlds. A strange and mysterious adventure to escape the automatically generated worlds created with merely 6 digits. A unique and enticing adventure game. Fascinating pixel art, captivating music and carefully designed animation. A huge upgrade from the original game released on mobile. New stage designs, items and characters. Character introductions for everyone you meet. This is a 2D adventure game in which the main characters - Jill and Graham - must escape from the world in which they've been trapped. I feel that it turned out to be a very unique and original game, featuring all the trappings of a classic indie title: the pixel art graphics, animation, music, and more. This is sort of a "behind the scenes" anecdote, but the game was designed and built upon the foundation of a "hidden story" which isn't directly explained. All of the eleven various ending movies, characters, object designs, etc. were meticulously put together in such a way as to contain parts of the "riddles" used in unravelling this hidden story. 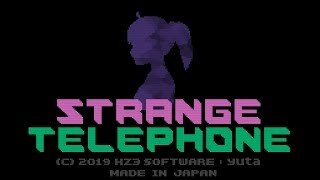 I feel that if you can manage to read between the lines and figure some of this stuff out, then the world of Strange Telephone can be enjoyed on an even deeper level, so as the developer I really hope that players keep their eyes and ears open as the play through the game and see what they can find. 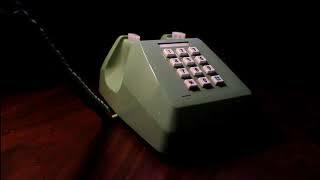 What do you think about Strange Telephone?